Lethbridge's newest 113 room hotel offers its guests outstanding accommodations in spacious rooms with modern amenities including a full, hot complimentary breakfast, two story waterslide, pool with swim jet and hot tub, 24 hour fitness facilities, along with exclusive meeting rooms that can accommodate up to 60 guests. The BEST WESTERN PLUS Service Inn & Suites Lethbridge convenient location is central to all major highways; Highway 3 East and West, Highway 4 leading to the I-15 corridor to US, two blocks to Lethbridge & District Exhibition, walking distance to Casino Lethbridge, across the parking lot from the Coulee Brewing Company and Tim Hortons, and other area attractions will make it a prime pick for travelers in town for a wide range of annual events while catering to the needs of the corporate guest. 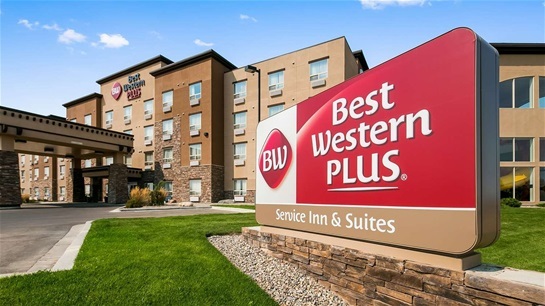 A stellar combination of service, efficiency and location will make the BEST WESTERN PLUS Service Inn & Suites Lethbridge a hot spot for travelers. Guest room amenities include complimentary high-speed wireless Internet, fridge, microwave and a coffee maker in every room, Business Suites are available, barrier free rooms and cable television and in-room movie rentals. 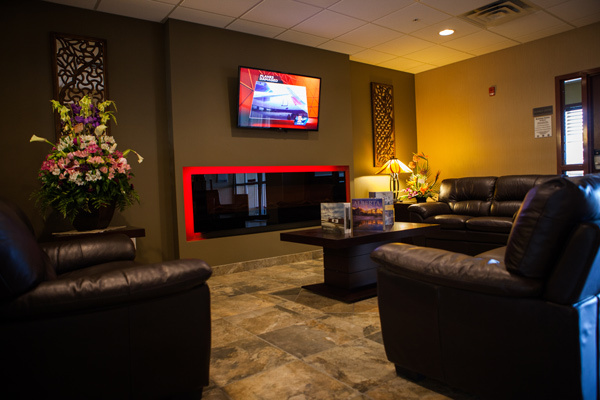 Some of the many amenities you will find at this 100% smoke-free hotel are a 24 hour front desk, it is pet friendly, there is truck and RV parking including cold weather hook-ups, a 24 hour business center, ice/vending machines, a sundry shop located off the lobby and a cash machine (ATM). 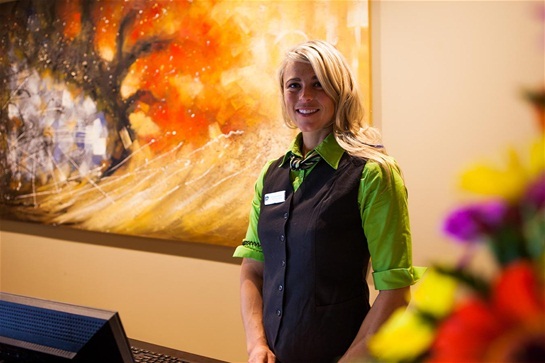 Make your reservation at the BEST WESTERN PLUS Service Inn & Suites Lethbridge today!